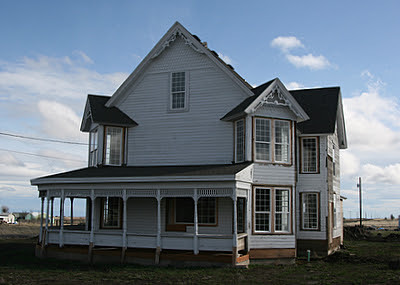 This old Victorian is being restored. The porch is still saggy, and the front door faded and old, but new windows and foundation work show hope for new life. The windows and their placement are amazing in this home! Exquisite ornamentation, repetition in design, and a wrap around porch show much potential for an absolutely gorgeous home! That is a beautiful house. I would love a house with a porch like that. This is not a style of house we get in Scotland except as a dolls house!